Hi Tim, just wanted to let you know that I have lost my first 20kgs and this in under 5 months. I came to see Tim to help me control my appetite and find a way to stop eating large quantities of food in one seating. In my 4 sessions with him, I gained a deep understanding of the relationship between mind and body. For the first time, I make intelligent choices to nourish my body and no longer feel food controls me. I am able to look at a plate of food and stop when I feel full. In the space of a month, I learnt more about the connection between my brain and my gut then ever before. I trust myself to make good decisions when it comes to eating and I am forever grateful for Tim’s teachings to me. A friend recommended Tim to me. I was skeptical, but I was also at the point where I was willing to give anything a go if it would help me with my sugar addition and unhealthy relationship with food. I can honestly say that the first session I went from insane to zero sugar cravings. It’s been 4 months now, and I still don’t eat a lot of sugar. I now also find it easier to make healthier meal choices and eat smaller amounts. Lastly, I’ve got my zest for excercise back. I can’t recommend Tim enough. “I decided to try hypnosis to stop binge eating, and whilst skeptical yet hopeful, I can now positively say it has changed my life. I know that sounds quite dramatic but It really has. For me, binge eating was a vicious cycle that left me feeling guilty, lonely, worthless, physically bloated and I would isolate myself as a result. It has been 5 weeks since I started seeing Tim and I have not had the temptation to binge once. This is remarkable as it used to be a regular occurrence. Something shifted. Tim listened to what I wanted to achieve – to stop binge eating permanently and lose a few kilograms – and he tailored the sessions accordingly. After each session with Tim, I felt more positive and stronger. 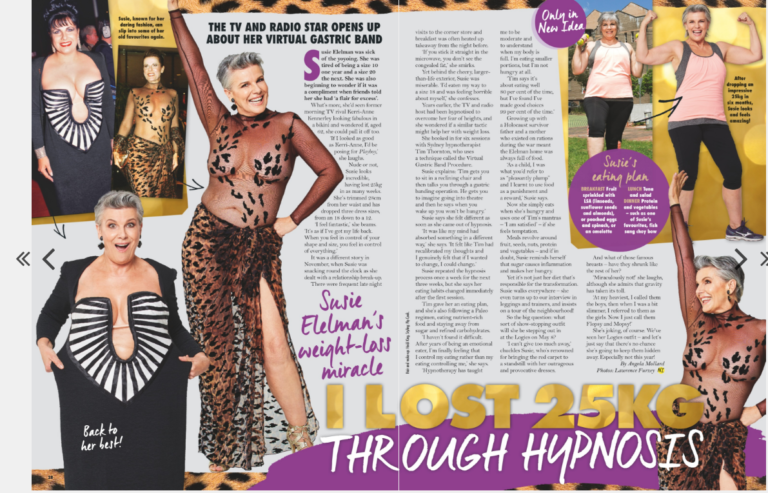 Its been several weeks since my successful “Virtual Gastric Band” hypnotherapy treatment. I’m very pleased with the results not only sustaining a continuous steady weight loss but also the added benefits of releasing a lot of mental baggage. I’m much more relaxed and now able to sense when I am full and ready to stop eating. My portion sizes have also reduced in sync with the messages of fullness. This rarely influenced me before the hypnotherapy as I continuously ate independently of whether I was full or not. It’s not easy though and does require effort to maintain these connections through the affirmations and listening to the supplementary recorded session. However, the benefits are worth it and as long as they were committed to the success of the process I’d recommend the “Virtual Gastric Band”. We’re off to Europe next week so it will great to see how things progress in the holiday “mode”. I very positive about this though as 1-it will be relaxing, and 2-there will be lost of exercise. Hi Tim, just thought I would let you know how I have progressed on my journey. I have remained happy and very positive and so far I have lost just under 12 kgs. The weight loss has slowed down, but I can still count on about 500 grammes a week. The only downside: I have had to buy all new clothes….damn !!! I sure am having fun shopping. Thank you for all you have done. I have undergone the virtual gastric band with Tim. I have tried every diet know to man. I have lost kilos and put them on again, over and over again. My name is Caroline and I came to Tim on a recommendation, mainly for myself, for my health. I have problems with asthma, blood pressure and problems with one of my knees. The idea was to come along to get some encouragement and some help to try and lose weight, to make all these things better. In the process over the last 4 weeks, I have lost about 5 kilos, which is probably the lightest I have been for nearly 3 years. And the good thing with all of this i found that the impulse to eat, because I eat when I am stressed, seems to have virtually disappeared. So I am more than happy with what has been happening. I am looking forward to continuing results. The ultimate aim is to be a lot healthier than i am. Also to be able to dance at my sons wedding which is in August. I am looking forward to looking a whole lot better and feeling a lot better. And reaching my genetic family life expectancy. My family always lived into their 90ies. I hope i can be there with them too. 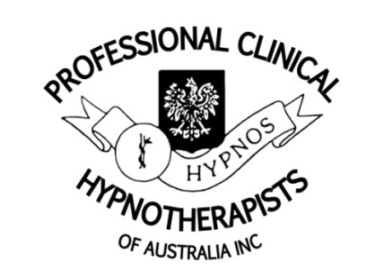 Hello, my name is Andrew, I have completed the 4 sessions of gastric band hypnosis. I have never felt so good. I have lost weight pretty much straight away. I am looking forward to the future. It’s been very good. I highly recommend it. Hi, my name is Cathi. I am one of Tim’s clients. I first came to see him 3 months ago. He introduced me to the virtual gastric banding via hypnosis. I must say this has actually changed my life. Since seeing him, I have lost over 12 kilos. I feel much better. I got rid of a lot of my food demons of overeating and eating to just feel better about myself. He has really helped me to open my eyes and see a better life. I really suggest it. Virtual gastric band hypnotherapy is a subset of traditional clinical hypnotherapy strategies. It utilises the powerful connection between your mind and body to convince your brain that your stomach is smaller in size. Not many alternative methods of weight loss can offer Sydney residents this level of effectiveness. I first saw Mary in July 2014. She like many of us has may roles to play in her life. In her career, she has a senior role in the state school system, a mother of 2 school aged children, a wife and more. She is also an accomplished black belt in karate and had been involved in this martial art for over 20 years including competitions and coaching children. In a sparring session of karate, she badly damaged ligaments and tendons in one of her legs. And in her ‘warrior’ mindset she chose to ignore the pain and advice of doctors and the physiotherapist alike and to continue with her training. Defeated by these circumstances and fitted with a high-tech leg brace, with the medical expert’s threat that the leg brace may have to be a permanent aide, she started succumbing to a psychological depression. And with this culmination of events, she also self-medicated as many people do with eating for comfort. This series of events lead to a descending spiral, this once athletic lady, an overachiever, positive role model and so on, slid into a new role that she would never have thought could happen to her.She started to eat with a vengeance and all the wrong things too. Craving sugar, carbohydrates and stodge, combined with no exercise the results were inevitable – rapid weight gain. This exacerbated the physical damage and within a year or so she had gained 30 kilos. She didn’t recognise herself and she didn’t know what to do. Her doctor suggested a gastric band or sleeve, but when she did the research on this option she knew it would slow her down even more and she has to undergo the surgery and then recuperate after and she didn’t like the prognosis.She decided to search for some alternatives and to cut to the chase she discovered that there is a virtual gastric band procedure. Even though there’s plenty of recorded evidence of the success of this program she was still sceptical. But somehow she ended up at my Hypnotherapy Sydney clinic and after asking some questions to understand better the mainly misunderstood world of hypnosis and hypnotherapy she decided to commit and to make every effort to turn her situation around. And in 5 months, as her recent text message to me states, she is 70% of the way to her optimum weight. The leg is repairing well too, especially as she has less weight to carry. She’s on her way! Happy on 3 small meals a day, she’s also ditched her sugar addiction which is an additional bonus that I offer to all of my clients and it’s included in the price. Anyone with weight issues can achieve similar goals, just 4 sessions plus completion of the home studies including listening to the support audio MP3. Also if you follow the dietary suggestions I offer that can be found in the book The Science Of Thin by Alistair Horscroft, the whole process is accelerated. Don’t forget, to lose weight it’s 80% diet- 20% exercise.Hypnosis is a fast, safe and a natural way to access your own resources to achieve goals. Clinical hypnotherapist Tim Thornton featured in New Idea May 2016. With his weight loss program he helped Susie Elelman to lose 25kg. I’m on holiday for 10 days, so you can always give me a call if you get a cancellation. You mentioned a ‘tighten up’ when I saw you initially, and I’ve lost 32kgs but may need one more session to tighten the band. Thanks for your help.